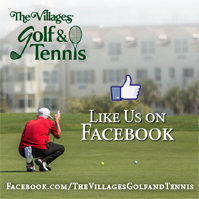 TheVillages.net - Login - Email, tee-times, computer support - serving The Villages, Florida and the Tri-county area. Your Online Community Designed Specifically for Your Active Lifestyle. The Villages Box Office Online makes it possible for The Villages residents and non-residents to order tickets anytime and anywhere! All Box Office Locations are available for your convenience as well, open Monday through Friday from 8:30 AM to 3:00 PM. Our Box Offices are located at Spanish Springs on Del Mar Drive, Savannah Center, Lake Sumter Landing - behind the Old Mill Playhouse Theatre and in Brownwood next to the Barnstorm Theater. Our Brownwood Box Office is also open Saturday from 8:30 AM to 3:00 PM for your convenience. Click here to access The Villages Construction Services Online Warranty claim form. Click here for The Villages Homeowners Use and Care Manual. Click here for The Villages Copper Line Set Reimbursement Form. Looking for Guest ID’s? Please go to the District Government website to request your Guest ID’s. You will find the “Guest ID Card Service” link on the left hand side of this page: www.districtgov.org. ©2019 The Villages, Inc. All rights reserved.